It looks like Royal Caribbean will be re-deploying Jewel of the Seas to PortMiami, beginning in January 2019. Royal Caribbean has begun informing guests that were booked on Jewel of the Seas via email that sailings between January and April 2019 are cancelled. Guests who were already booked on Jewel of the Seas on one of the affected itineraries are being offered rebooking options, which include onboard credit. Guests can also opt for a full refund. 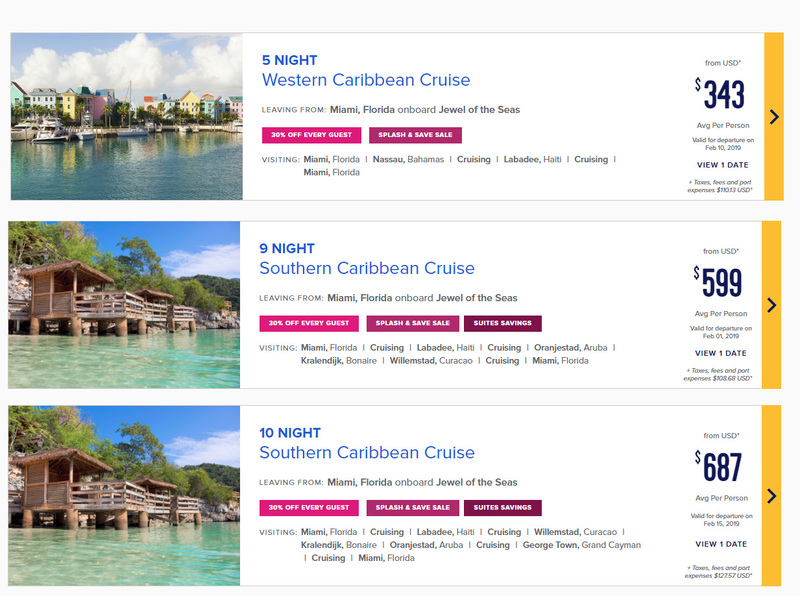 On Royal Caribbean's website, Jewel of the Seas shows sailings leaving from Miami in early 2019 to a variety of destinations in the Western and Southern Caribbean. There is no word yet which, if any, ship will replace Jewel of the Seas in San Juan, Puerto Rico.